The itinerary covers a two week period but you can adjust as needed by simply leaving out a town or two or shortening your time in each place. You'll need a car to do the entire itinerary. I'd recommend booking before you leave with someone like AutoEurope - the rates are normally better when you book in advance. Veneto is the best place in Italy to drive - there are wide modern roads between all the towns and people in the Veneto drive very well... by Italian standards. Should you really not want to drive you can still do most of the itinerary by train, with the exception of the Dolomites region and towns like Asolo, Marostica and Breganze. Another option is to take a tour from Venice that includes towns like Asolo - here are the details. Postpone renting the car until after Venice - that will save you a bit of money as obviously a car won't be needed while in Venice. I'd suggest at least four days in Venice as that will give you enough time to see the main sights and some of the less well known ones too. 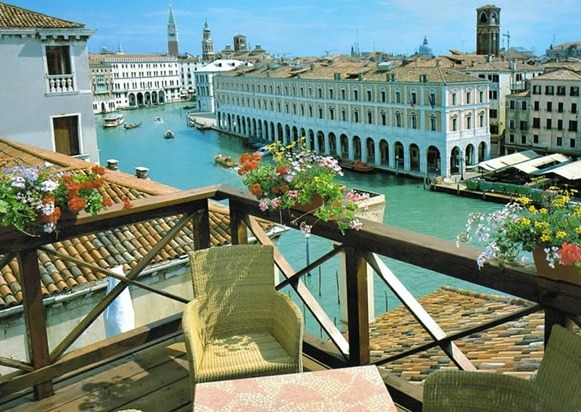 For some good restaurants in Venice, and elsewhere in the Veneto, click here. Once you've finished in Venice leave early and spend a day in Padua (Padova in Italian) then head to Asolo for three nights exploring nearby Bassano del Grappa, Marostica and Breganze. You'll find restaurant and hotel recommendations on each of those pages. To explore the Dolomites base yourselves in Belluno and visit Cortina d’Ampezzo and lovely Alleghe. Next stop is Verona for three nights - perhaps stopping to visit Vicenza along the way. From Verona you can take a trip out to the Madonna della Coronna - I bet you'll be asking yourself how they ever managed to build such a huge place in such a location. If you'd like to combine your time in Verona with a wine tour then visit Soave and explore the surrounding wine country on your own or take a tour like this one. Base yourself either in Peschiera or Sirmione. 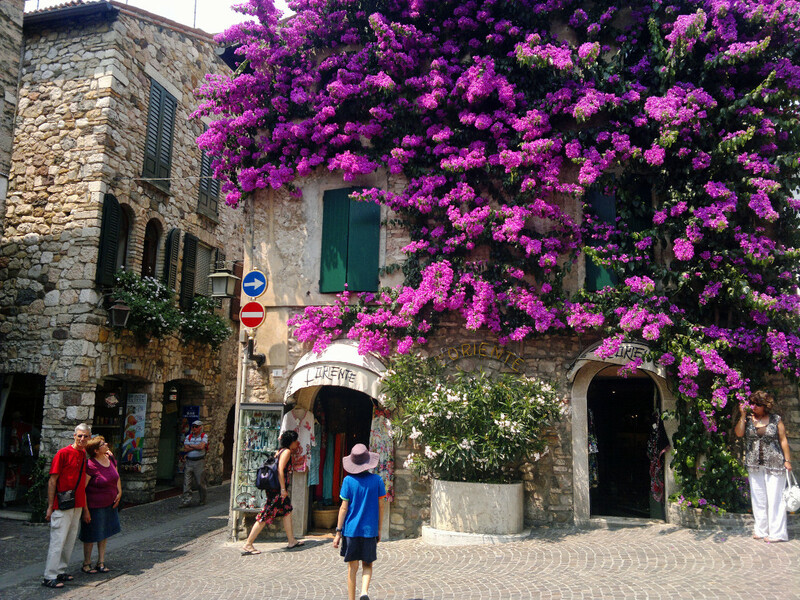 Peschiera is the better choice with young children, while Sirmione (just across the Veneto border in Brescia) is the more romantic option. Whichever one you choose to stay in make sure you visit charming little Borghetto sul Mincio while you are there. Borghetto sul Mincio was voted one of Italy's loveliest little towns and is very near both Sirmione and Peschiera.